Before anyone asks it, or even thinks it, this has nothing to do with the recent Mo-vember movement or any form of male cancer. Not that it isn’t a good cause, its a great cause – even if I can’t participate, well wait, does whisker count? 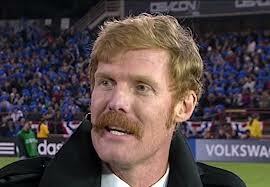 Whisker-vember just doesn’t go well, so I humbly cheer on other mustaches from the sideline. Hmm, this post is slowly becoming about Mo-vember even though I said it wasn’t. When I was back at St. Francis University, I think it was my Junior year, most of the guys on the soccer team decided to do the whole No-Shave-November thing. Come to think of it, I think we were rebelling and decided to do No-Shave-till-November, so it was actually October. I went along with it. It was a sad effort on all our parts and I think overall only 2-3 people made it the whole month. It definitely wasn’t as big of a deal that year as it has become now. As a matter of fact, it was the first time I had heard of it. This year it was wild, I felt like everyone had some kind of facial growth going. I know in the football world it was all over the place: players, coaches, pundits alike were all slowly turning into cave men. Loved It! 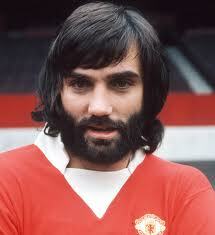 Georgie Best! Sports a handsome beard back in his day. 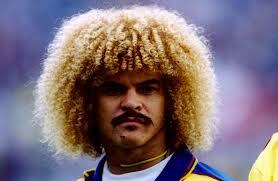 You almost miss the stache, with the classic Valderrama hair! As it turned out, I was one of those two or three people on my team who didn’t shave for a month. As it also turned out, no one knew. A night or two after the month was over, I walked over to the sink in my room and casually mentioned “I guess I can shave now”. My roommate, Benny, who could grow a carpet on his face in just a few days, sat straight up and said something along the lines of “WHAAAAA? BAHAHAHAHAHAHAHA!!! !”, “You haven’t…HAHAHA”, “Sean…BAHAHAHHA”, “You haven’t shaved? HAHAHAHA!!! !”, “FOR A MONTH! BAHAHAHA”. Before I could answer he had run down the hall and told everyone. My No-Shave-Till-November campaign had, in truth, become a disgraceful Mo-ck-tober campaign. That one will surely live through many a team reunion. Back to the main point of post: the missing ball. Today I went to the local park, as I often do, to get some work in. One of the more recent challenges I have made for myself, when I am training alone, involves working on my longer, aerial passes. For this, I use a wall (about 6-6.5 ft high). I will typically back up 30-40 yards and try to hit the wall while the ball is still in the air. If I hit the ball too hard, it goes over the wall and I have to jump over and go get it. If I hit it too soft and it bounces before it hits the wall, it doesn’t come back all the way and I have run and get it. When I hit it right, the ball will typically role all the way back to me easy-peasy! This is a great way to practice something. There are direct negative consequences for mistakes and if you do it right it is easier for you, but its not easy to do it right – sounds kinda like life doesn’t it. Today, in my infinite imperfection, I kicked the ball over not 1, but 4 times (most of the others didn’t make it to the wall in the air either). Let me add that there is a relatively busy road just behind the wall, only protected by a few rows of trees (many of which are very thorny trees). The first time I kicked it over was easy, as it sat just on the other side of the wall. The second and third time I happened to be practicing striking 1-time volleys out of the air, which is a classic high-risk vs. high-reward situation. If you manage to score a one touch volley, you feel like the man, you look like the man, and people will treat you like the man (at least for a bit)! If you shank it, you feel stupid, you look stupid and people treat you like your stupid (for a while). So, when I shanked these two over the wall they also cleared the trees. So, I had to push my way through the thorny trees and out on to the busy road, looking and feeling stupid, to retrieve my ball. The last time I kicked it over, it only just cleared the wall, hit some branches right behind the wall, and appeared to drop straight down. I ran over immediately to scale the wall AGAIN. I got to the top of the wall and looked over…the ball was nowhere to be seen. I jumped down into the thorny trees and began crawl-walking around looking for it. Nothing. I went out to the road. Nothing. I crossed the busy road looking stupid to see if it had somehow gotten across (highly unlikely considered the pace I kicked it at). Nothing. The road was gradually sloping downhill and the ball could have gotten caught in the culvert and started rolling away so I walked down a little ways…looking stupid. Nothing. I went back and looking up into the trees in case it was stuck in them somewhere. Nothing! Note: this was a bright neon yellow ball – on my receipt it is classified “Hi-Vis.”! Seriously, how do you miss this!!!!! I sat there scratching my head for a bit and came to the only rational conclusion I could. It grew legs and ran off. Now, if you remember, I wrote about losing another ball a while back at the same place. It’s bizarre. 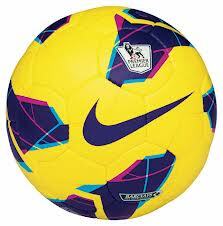 However, this isn’t just my second ball since I’ve been here. It’s my fourth (4TH). Two have mysteriously disappeared and two have been victims of death by puncture from the above described thorny trees. Moral of the story…don’t kick a ball over the wall into the thorny trees. Sigh! The Sports Direct store in Leeds is loving it. In other news, my soccer life has continued to improve, while my love life has continued nowhere. I continue to train, here and there, with about as many teams as balls I’ve lost. Funnily enough, I have gotten to play a little in a few games with Albion Sports yet again. They have been doing well and sit 2nd in their league. In any case, they needed players for a few games again this week and I was happy to oblige. We lost one of the games and won the other. I only played briefly in both and I was essentially given permission to run around as much as I wanted as long as I made sure they didn’t score. They didn’t! This leads to today’s seanostat: My team has never been scored on while I’m on the field in England! Boom! I hear Man Utd is having defensive difficulties…SIR ALEX!?!? 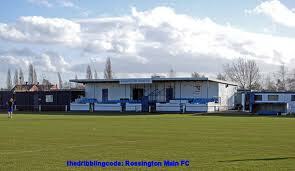 The Home of Rossington Main. Overall, training has been good and it was nice to get into games, even if just for a few moments. I continue to work hard and wait for a breakthrough. Special shout out to my youngest brother Desmond who turns a whopping 2 tomorrow. He’s always got bruises on his face from falling down head first…what an inspiration! Love him. I wish you all a blessed and reflective advent! Until next time Peace out.